Equip yourself for adventure with a used Dodge vehicle from Steamboat Motors Chrysler Dodge Jeep Ram! 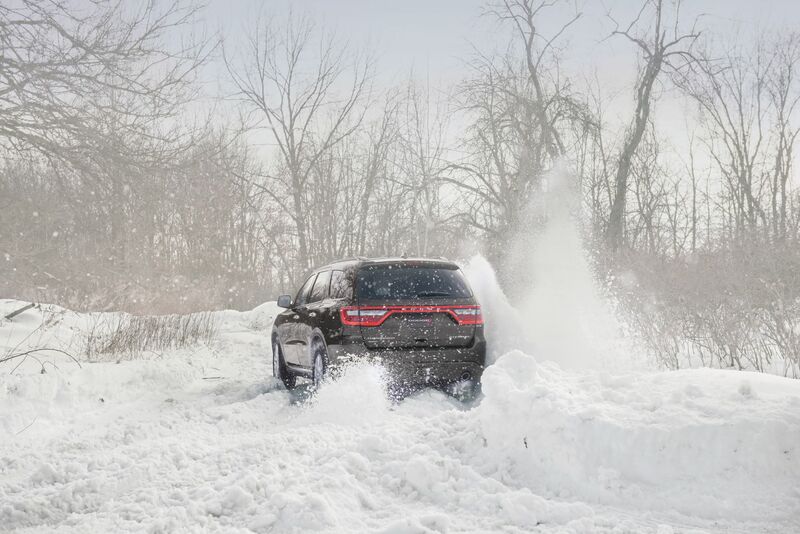 Our used Dodge dealership in Steamboat Springs, Colorado, has amazing deals on the three-row Dodge Journey, a versatile and spacious mid-size SUV. Load up the paddle boards and head to Stagecoach in the rugged Dodge Durango, a powerhouse that'll tow with ease and tear it up off-road. If you need a flexible family-friendly vehicle and cargo hauler, the Dodge Grand Caravan can do the job. Visit our dealership in Steamboat Springs, CO to explore our full pre-owned Dodge vehicle inventory! Find a used Dodge model at your local Steamboat Springs, CO Dodge dealership. At Steamboat Motors CDJR, we're here to help you throughout your complete car-buying process. Our friendly sales team can help you find the perfect pre-owned Dodge vehicle for your lifestyle, while our experienced finance department works with you to get the best auto financing plan for your budget. We've got a sedan or SUV for everyone, from vehicles under $15K to certified pre-owned cars and crossovers. Come by our Steamboat Springs, CO dealership to get behind the wheel for a test drive today! Take advantage of our online financing tools to estimate your monthly auto payments and value the trade-in of your current vehicle at Steamboat Motors CDJR. Our Steamboat Springs, CO, finance specialists can adjust the terms of an existing car loan or customize new Dodge financing just for you. So don't wait any longer! Stop by our dealership to begin your auto financing process today.